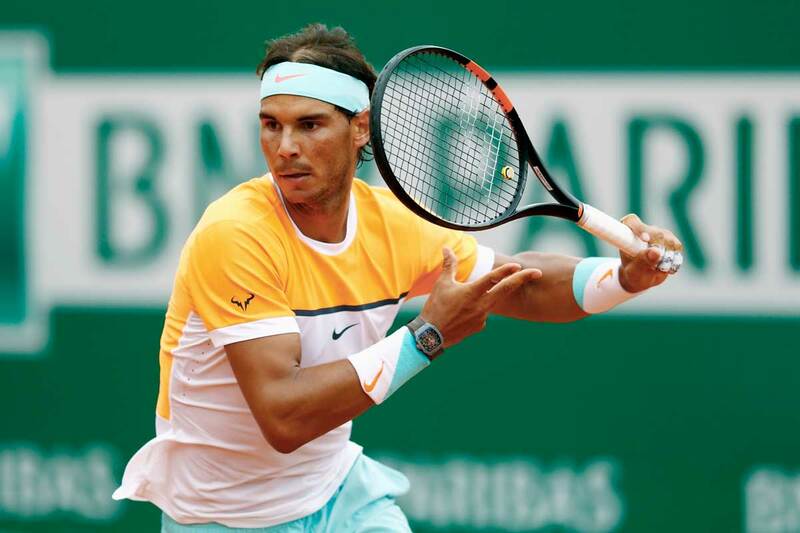 On June 7th, 2010, a revitalized and transformed Rafael Nadal came back from what had been one of his worst seasons to become the most dominant force in professional tennis. 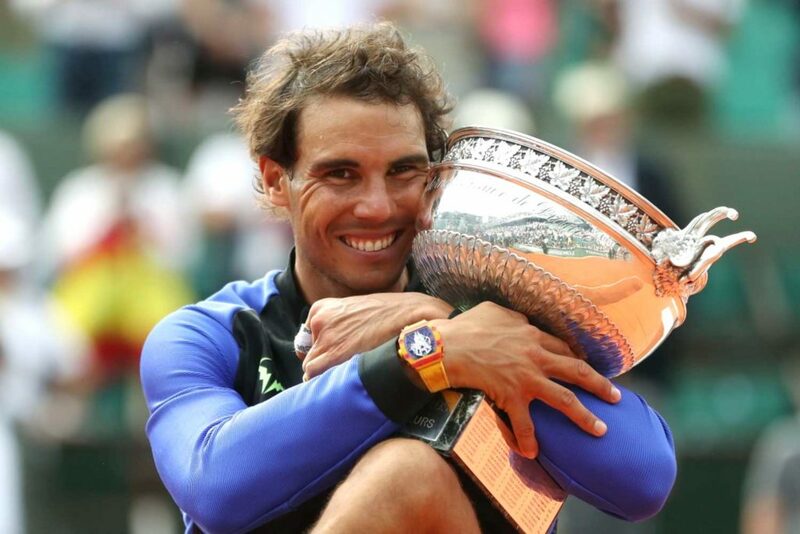 On this day he was unstoppable, playing his unique blend of tennis best described as sheer entropy, non-stop kinetic magic as he blitzed past Robin Söderling in straight sets to win his fifth French Open and seventh Grand Slam, and be reinstated as the highest-ranked player in the world. 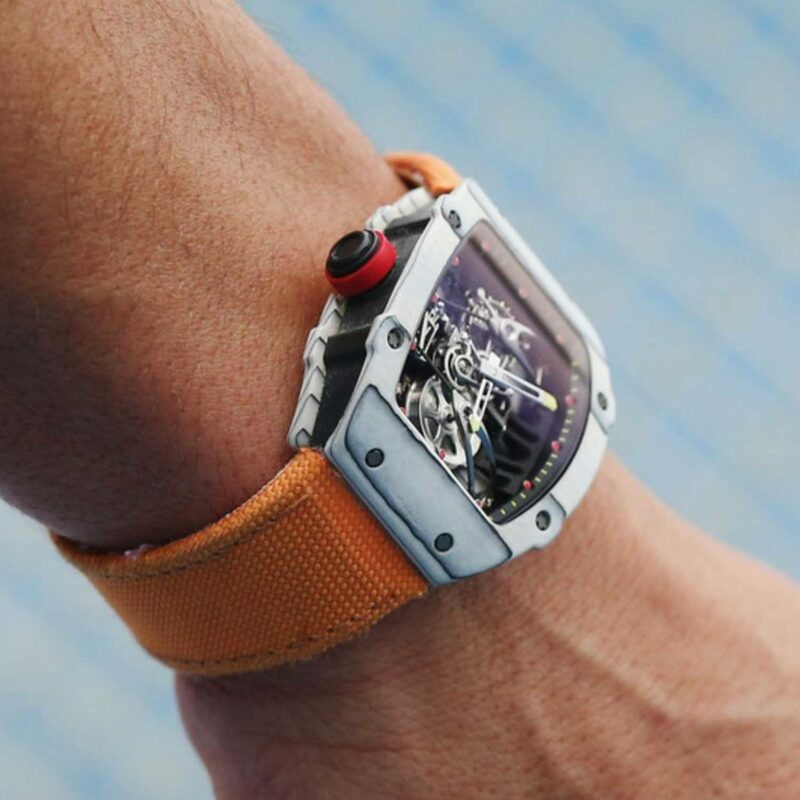 As he raised his trophy above a jubilant crowd, on his right wrist was a marvel of engineering, a carbon-fiber-cased, aluminum-lithium tourbillon watch that had been his companion through every single stroke of every set throughout the tournament: the RM 027. 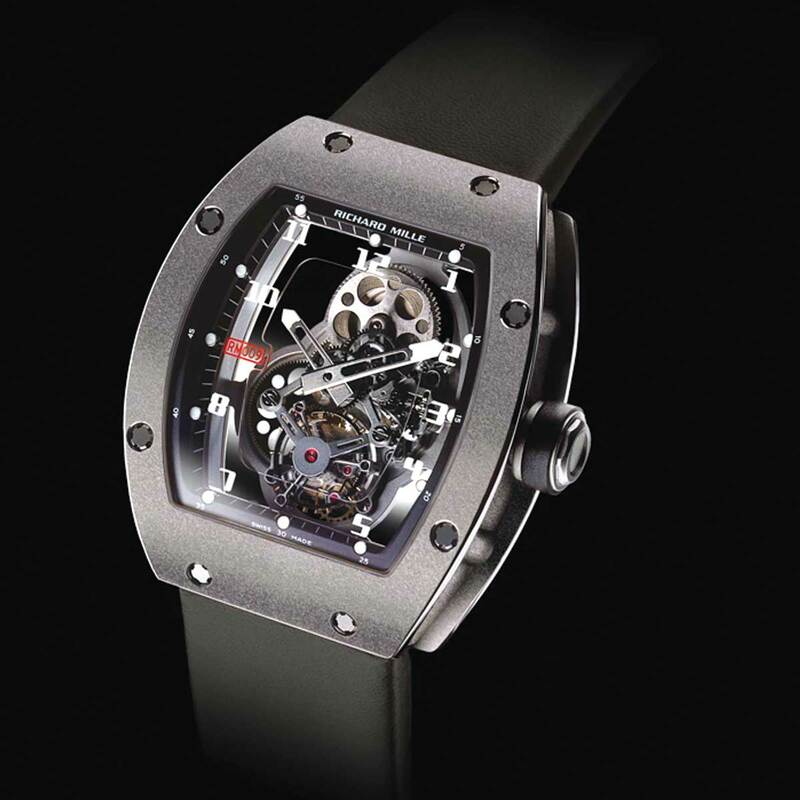 This 20-gram masterwork of technological innovation was made by Richard Mille and it is proof positive that his watches can be worn in even the most brutal and punishing conditions. For Mille, without this extreme test and vindication, the exercise of making the world’s lightest mechanical watch would have been meaningless. 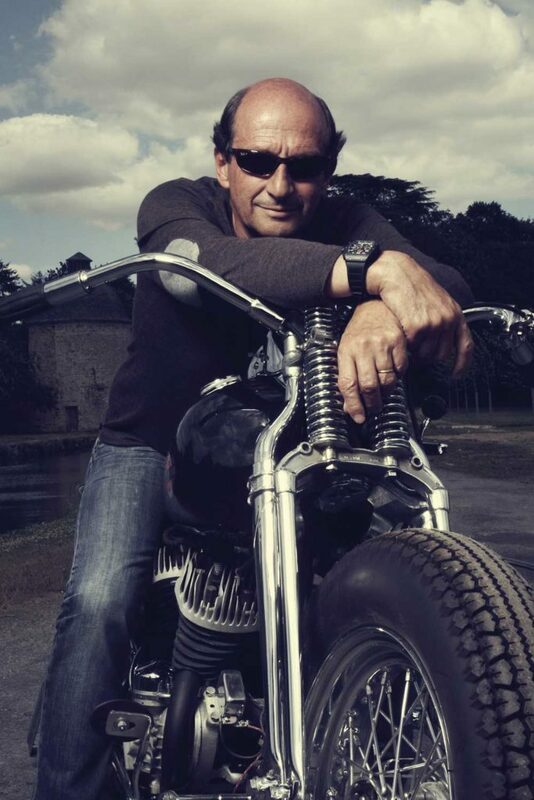 Richard Mille is quick to point out that each of his forays into extreme lightness has always been accompanied by a real performance objective linked to an elite athlete. His 48-gram RM 006 and his 28-gram RM 009 were both created to be worn by F1 driver Felipe Massa during races. 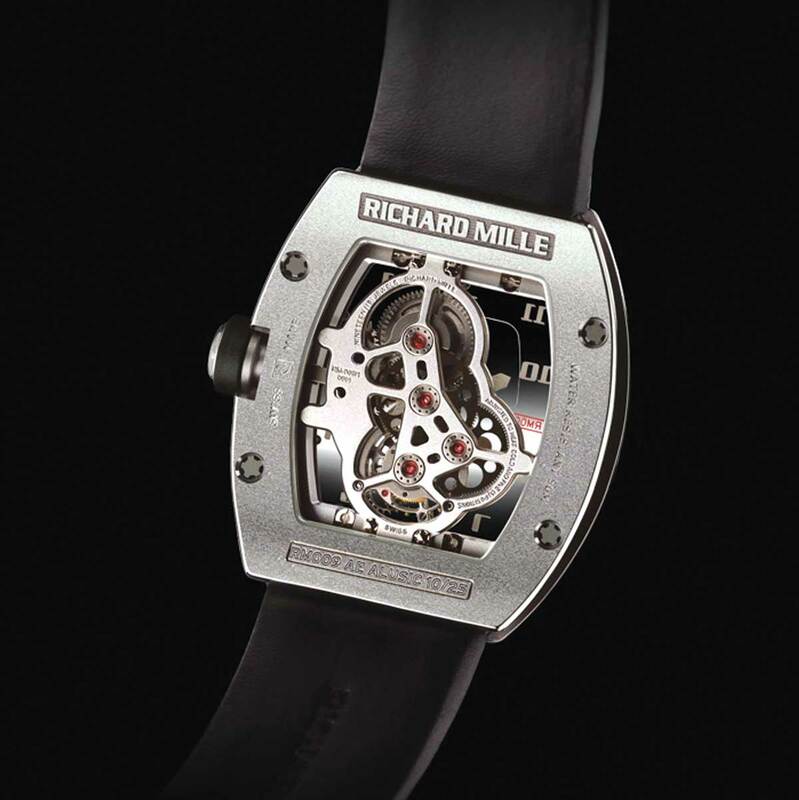 What Mille achieved by equipping Nadal with a tourbillon wristwatch that he wore to victory in every single match of the French Open, Wimbledon and the US Open, was totally unprecedented. 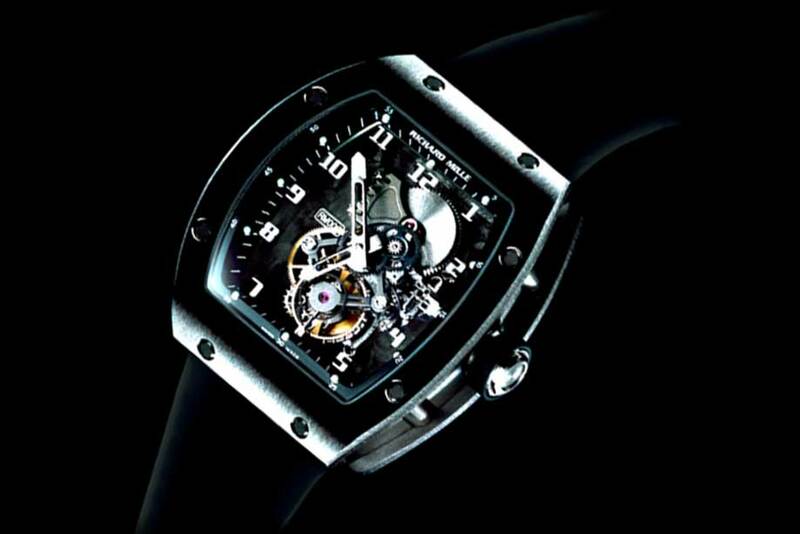 While multitudes of watch brands sponsor athletes across an array of sports, until Nadal strapped on his Richard Mille, not one of them had ever worn a mechanical watch, much less a tourbillon, while in competition. 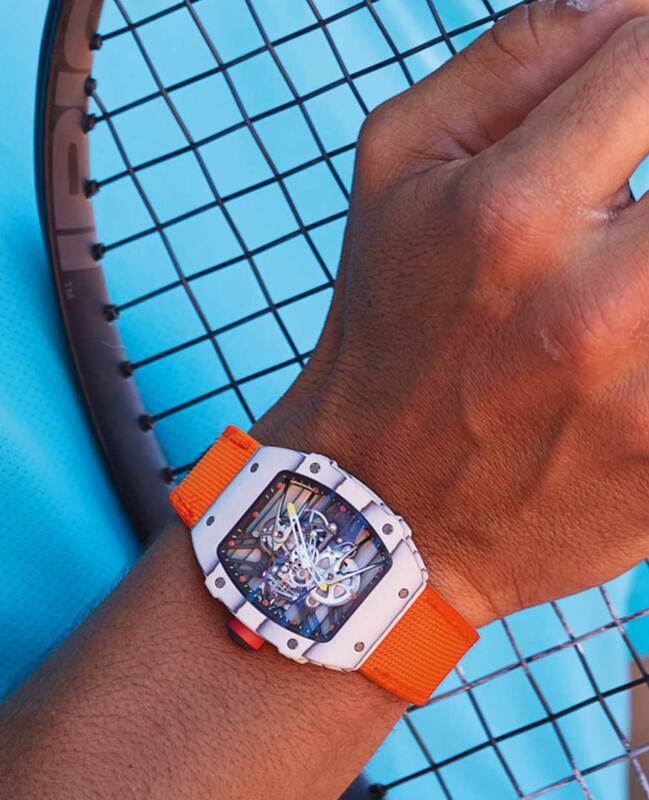 That Nadal did, and the watch obviously had zero negative influence on his game but in fact was an asset to him, is proof positive of Mille’s assertion that his timepieces are ultimate performance instruments. 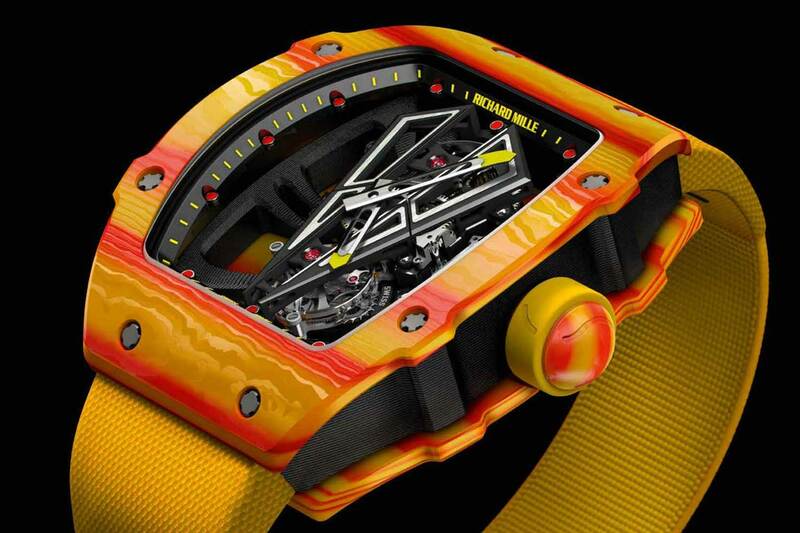 Winning Nadal over to the idea of wearing a watch during competition, says Mille, was no easy task. 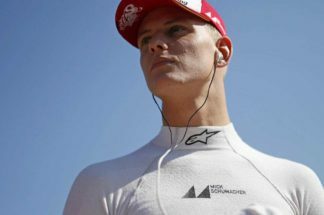 “I knew he would be really hard to convince. 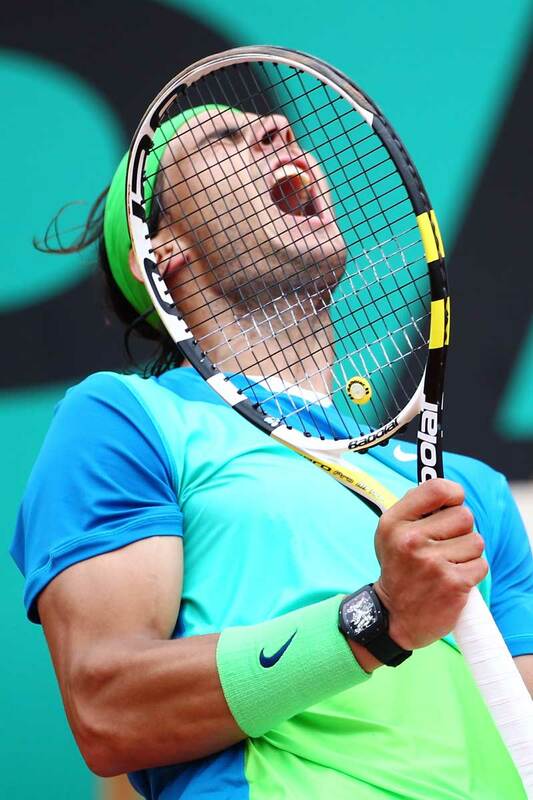 He is a total maniac when it comes to preparation and details. 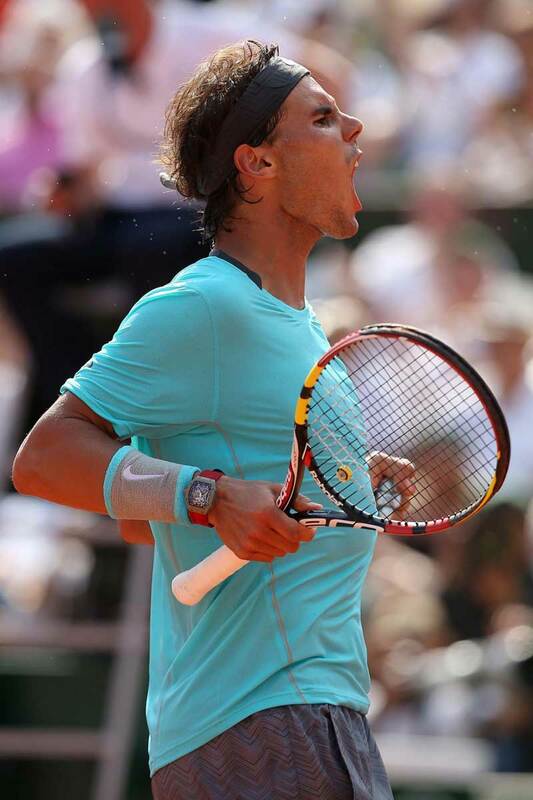 When he comes onto court, he has to arrange his drinks in a certain way; he has a certain routine and he cannot deviate from this in any way.” When he first broached the subject with Nadal, Mille recalls, “He immediately said, ‘No way. 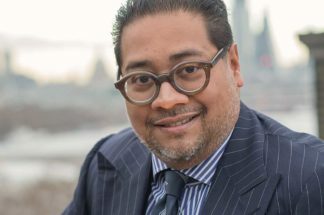 It is impossible. 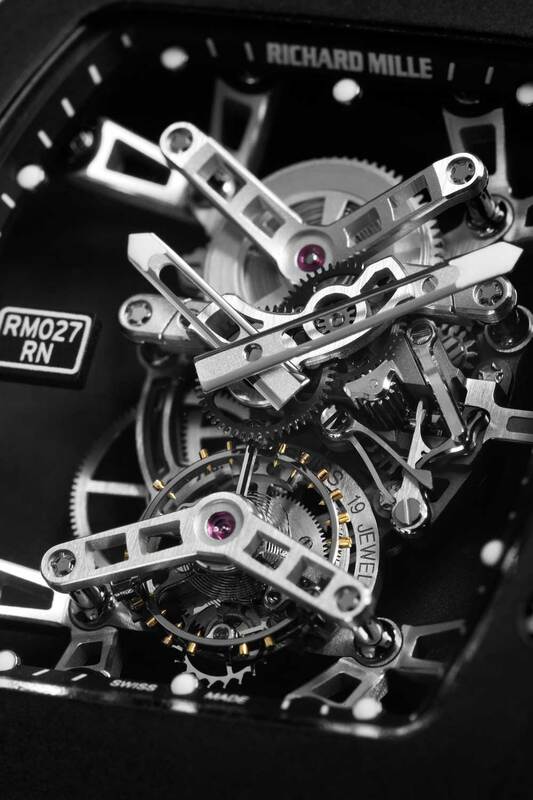 I cannot wear a watch when I play. It would destroy my balance, it would make me lose focus. 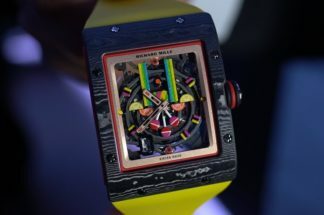 It would be a disaster.’” Not one to shrink from a challenge, however, Mille says, “It became something of a mission for me to convince him to wear the watch when he was playing. This dictated four objectives for the watch I would create. 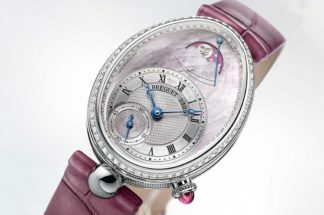 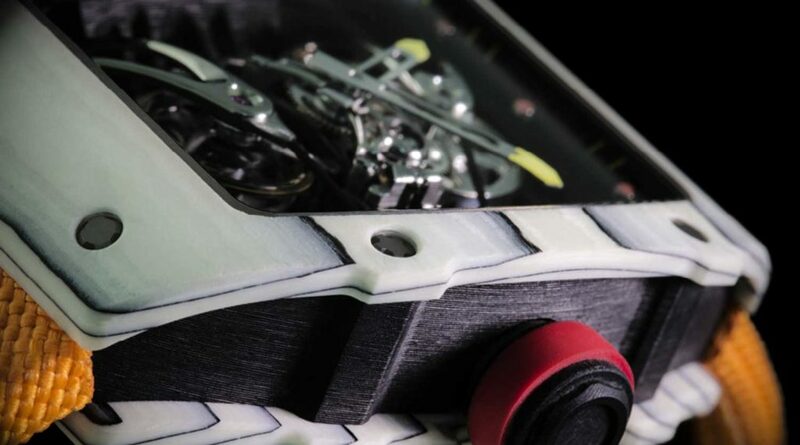 The first was lightness, the second was shock-resistance, the third was comfort, and the fourth was no compromise mechanically, which meant for me I was not going to create a ‘dumbed down’ movement, it had to be a tourbillon for this watch.” An encounter between Nadal and the King of Spain, who rhapsodized over the comfort and lightness of his RM 009 tourbillon, prompted the tennis champion to reconsider the idea — at least, in principle. 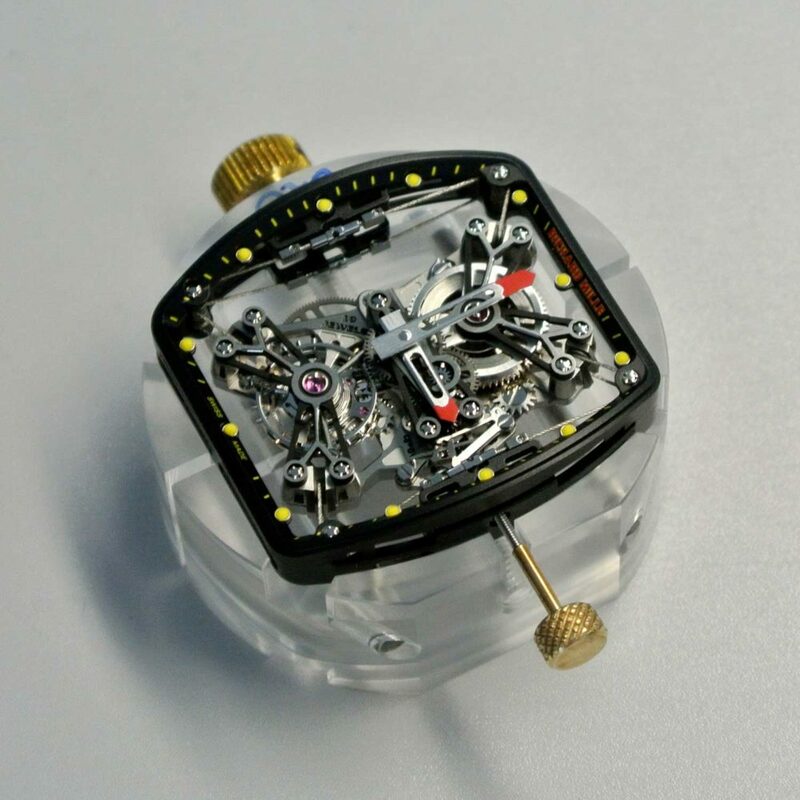 “Finally,” says Mille, “he agreed to try it out, with no promises that he would wear it during competition.” Thus, began the development of the RM 027. 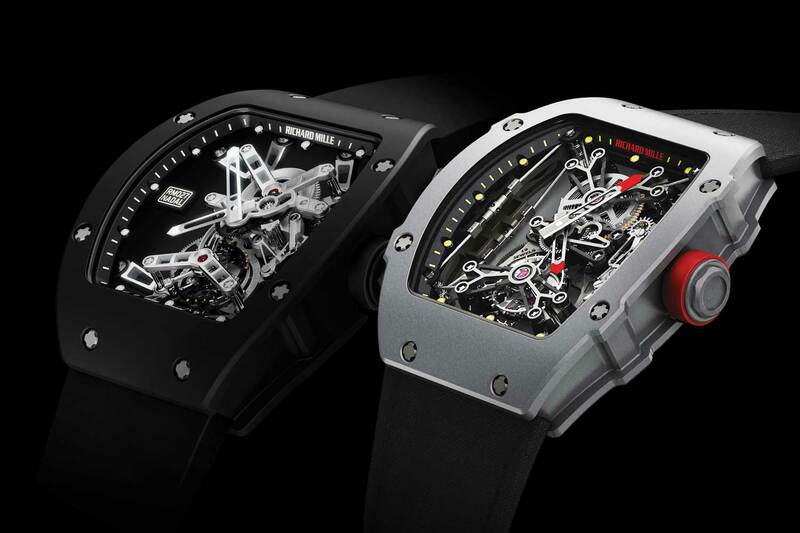 (From Left) Richard Mille’s RM027 prototype – one of the first experiments with carbon injected polymer: Carbon nanotubes to be exact; the RM 027 features a monobloc carbon-nanofibre case, aluminium lithium bridges making it ultra lightweight and super strong; a close-up of the tourbillon of the RM 027. 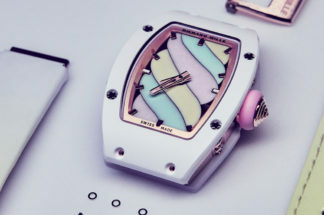 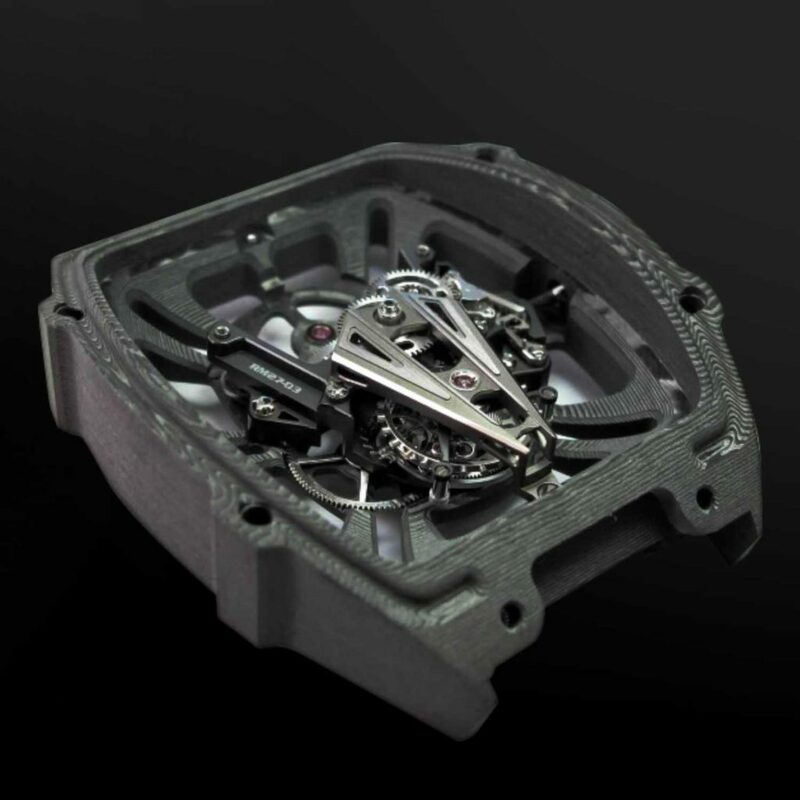 To isolate the tourbillon device from shocks — in particular those during Nadal’s ferocious backhand — the ultra-light movement is connected to the case using skeletonized bridges designed like suspension arms of a racecar. The lighter the movement, the less it would be influenced by shocks, and so Mille turned to aluminum-lithium, a material from aerospace that he had introduced to watchmaking several years ago with the RM 009. 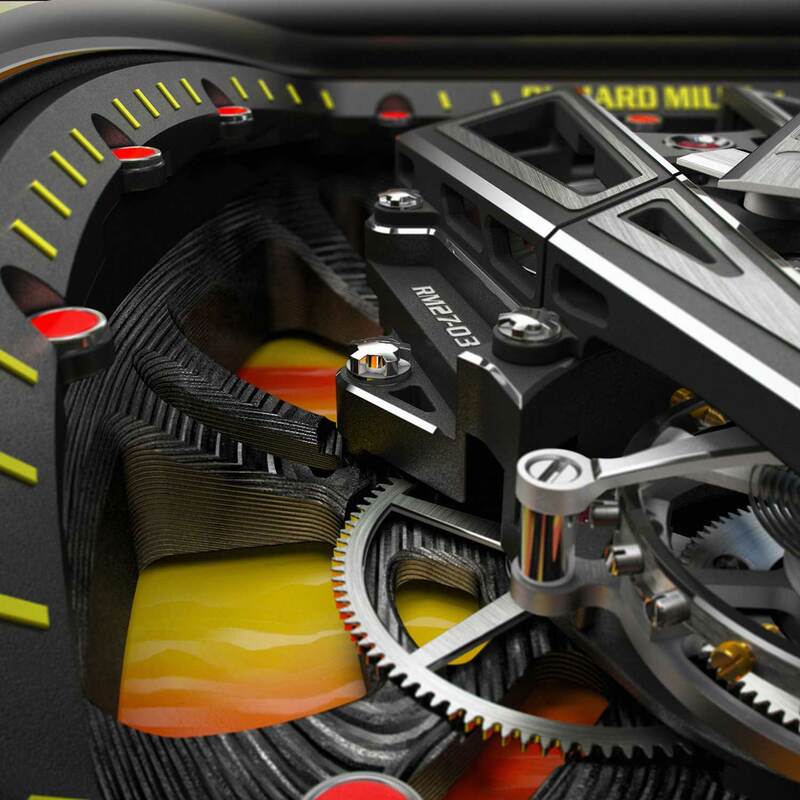 Says Mille, “I wanted to make a movement that was less than four grams — and we managed to create one that weighed 3.4 grams.” This is the ultra-high-tech chassis upon which the entire barrel, train and tourbillon is attached. Winning Nadal over to the idea of wearing a watch during competition, says Mille, was no Over the next seven years, Nadal and Mille would strike up a deep and enduring friendship, which would culminate in 2017 with Nadal once again re-achieving world number one status, winning the US Open and a record-setting 10th French Open, all while wearing his beloved RM 027 on his wrist. 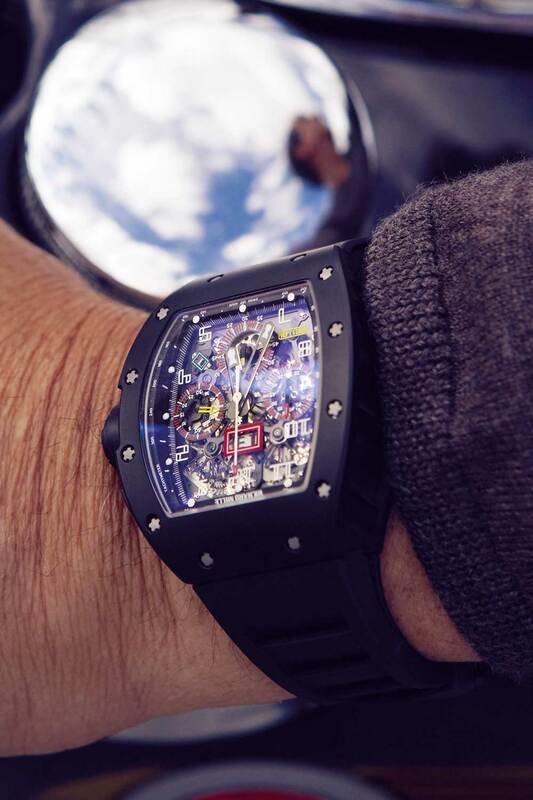 These seven years would also yield some of the most innovative Richard Mille wristwatches ever created, each time in pursuit of ever-higher performance. 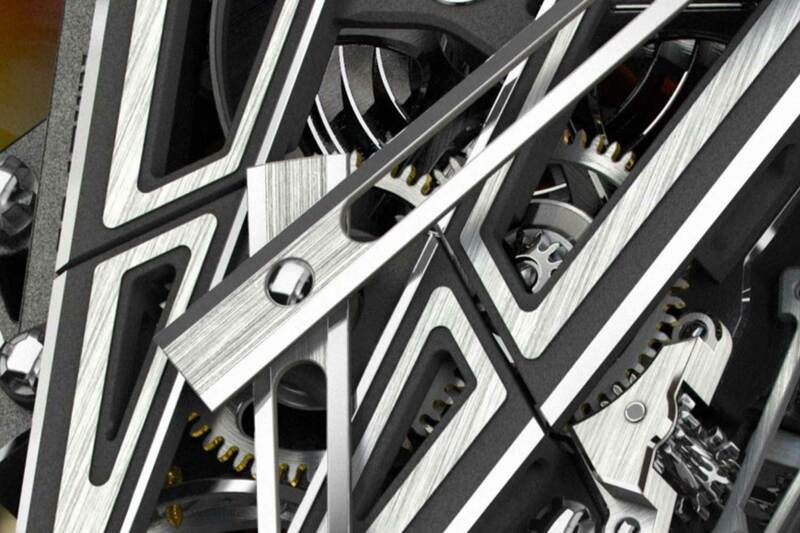 Here is an up-close look at these magnificent machines and the technical breakthroughs they represent. 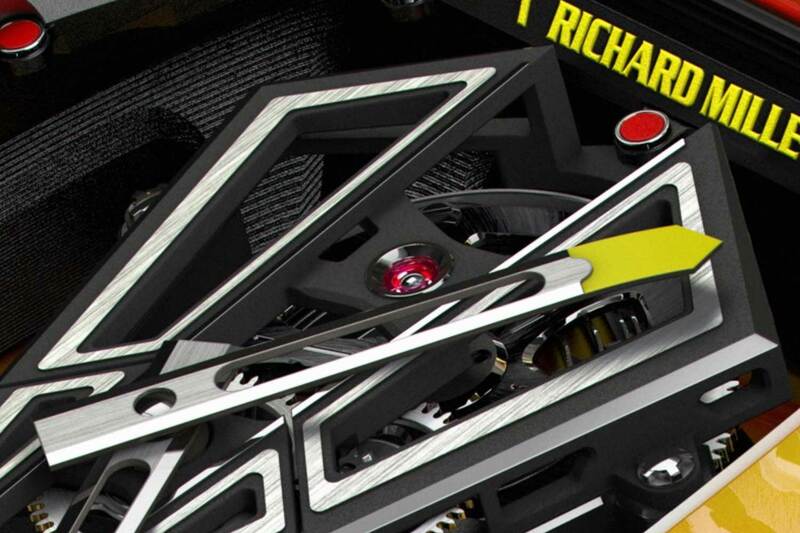 A unibody baseplate in Carbon TPT®, grade 5 titanium bridges and strategic reinforcements at the heart of the calibre all contribute to the rigidity of the RM 27-03, enabling it to withstand impacts of 1000 Gs shock.